Go Pink for your next wine gift. This way, you'll be able to compliment your red and white wine by combining the two colors! If you want your wine to be dressed to the nines, these bags will surely do the trick. Especially if you're giving the bag to your girliest of friends. These pink wine bags will be able to start the party, even before you open the bottle. Our bags are great for sweet sixteen birthday parties, holidays, weddings, or even just a let's have a wine night party. Whatever way you put it, these pink bags will make any party that much better. Please note: The Fuchsia Foil option comes with a gift tag attached, great for a present you want known is yours! 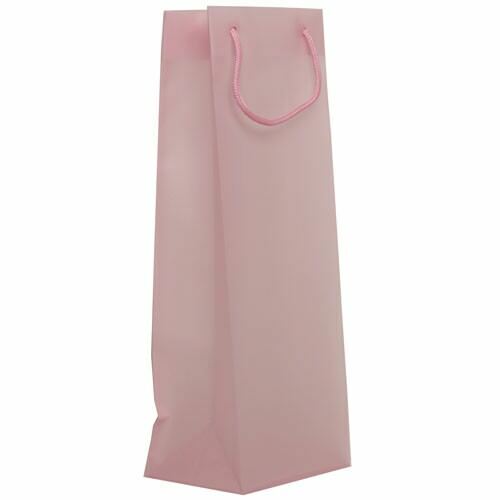 All Pink Wine Bags can comfortably hold a standard size bottle of wine.